Sun in Pisces: The World on Soft-Focus - Let Inspiration Flow! Sun enters Pisces just before midnight on the 18th of February putting our world in soft focus until March 20th. Time to let our intuition, compassion and imagination lead the way. Keywords: imaginative, sensitive, irrational, inspirational, adaptable, empathetic, multifaceted, intuitive, impressionable, emotional. Pisces is a mutable water sign. It is emotional and flexible, able to navigate the vast and shifty waters of feeling. Pisces feels comfortable in a world that is a little fuzzy around the edges, shying away from the sharp definition of facts and figures. It sees the world in multi-coloured shades, instead of black and white, and is able to see a morsel of truth in many different points of view. If Pisces has a reputation of being hard to pin down, it's not because it wants to deceive, but because it does not believe that there’s a single fact of the matter. For Pisces, reality is fluid and changeable, barely distinguishable from the world of dreams and the creative imagination. That's why Pisces feels happiest when it can express its rich inner world and make use of its unique artistic, empathetic and spiritual sensibilities. As the last sign of the zodiac, Pisces is world-wary, its skin porous and permeable. Like someone who has seen and done it all, Pisces seeks the thrill of life beyond the mundane, to experience unity and a state of grace. This may be expressed creatively or through religious and humanitarian pursuits. Sun is entering Pisces just as Venus and Mars exit the sign. Mars in Pisces and Venus in Pisces have blown up a storm, agitating our dreams, expectations and romantic longings and urging us to believe that our salvation is just around the corner. Now Sun's entry into Pisces will shed light on our dreams and yearnings, as well as our suffering and our capacity for compassion and transcendence. With Mars and Venus in dynamic Aries from the 20th, just as Sun settles in sensitive Pisces, there is a danger of coming on too strong, just when some of us are feeling vulnerable and sensitive. On the upside, there is also a potential for initiative to realise a creative or romantic dream. This will be an emotional time, when reason may fall by the wayside. Thankfully, Mercury is still in Aquarius, throwing a measure of objectivity and logic into the proceedings. Enjoy starry-eyed, magical, fantastical love and romance! Pursue your dreams - make it happen! Show empathy and compassion - help someone out. Pray, meditate, connect with your spiritual centre. Escape into the country - preferably by water. This is a tough day - where our plans meet with a brick wall. This is not a good day to try to make headway with important matters. Nobody is in the mood to give an inch. Weakness and fear make it hard to negotiate as nobody is feeling particularly generous. Nonetheless, the challenges you face and the steps you take today can form a concrete building block in the achievements of your aims. Check your star-sign below to see how this affects you. This is an excellent day for romantic, cultural and creative pursuits. If you want to enchant and make a glamorous impression, choose this day. It is also a good day for spiritual endeavours, as we are more attuned to the subtler aspects of life. It is not a good day for facts and figures and for getting to the truth, as the world of dreams and make-believe has the upper hand right now. This day signifies the birth of new fashions, new dreams and ideals. Some of us may feel overwhelmed by emotion today. These days offer an opportunity for constructive change and for getting the necessary backing to accomplish your aims. With Uranus in Aries and Jupiter in Leo linking up with the Sun too, this is a period of adjustment after the revelations of February 5th. This weekend signifies the beginning of a new cycle of wisdom and healing. Sorrow may come into the spotlight and we may seek a mentor or saviour to make it all better. This is a time to listen to our own inner wisdom and not seek external quick fixes. 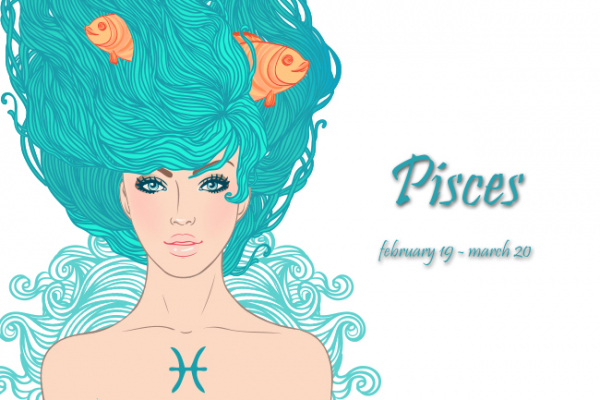 Sun in Pisces is a time to stay under the radar. Your intuition is stronger now, as is you ability to harness collective energies. February 23rd may bring blockages from abroad or stemming from legal and educational institutions. March 5-8 may bring career support from behind the scenes. Sun in Pisces sheds light on your group involvements, friendships and alliances. February 23rd is not good for financial negotiations. 5-8 March is a good time to connect with empowering friends abroad. Sun in Pisces sheds light on your career, life-direction and public image. February 23rd may be a tough day for business, when others are not agreeable to your plans. March 5-8 may bring a commission or other financial career boost. Sun in Pisces highlights ways to expand your world through publishing, education and long journeys. February 23rd may bring obstacles stemming from work commitments or health concerns. March 5-8 is a good time to seek help from a partner. Sun in Pisces places emphasis on intimate relations and financial agreements. February 23rd is a day when you may experience romantic rejection or financial loss - not a good day to take a risk. March 5-8 may bring a work bonus or an opportunity for a health check-up. Sun in Pisces shines a light on your relationships - time to let your partner take the reins! February 23rd is a difficult day, where home and family commitments may create difficulties with your romantic or business partner. March 5-8 is a great time to inject romance into your marriage, have fun together or invest in a business partnership. Sun in Pisces makes work and health top of the agenda. February 23rd is not a good day to sign documents and you may receive an unpleasant communication. Your home-base is a source of support on March 5-8. Sun in Pisces is a time for romance, creativity and joy. February 23rd brings a financial burden to dampen your spirits. The channels of communication open March 5-8 helping you move forward with creative projects or clear the air with a loved one. Sun in Pisces sheds a light on your private life, home and family. Steer clear of discussions and negotiations on February 23rd, when you will not see eye to eye. March 5-8 brings a financial boost to help you with a real-estate, home or family matter. Sun in Pisces shines a spotlight on your every day movements, communications and exchanges, making for a busy time. You may come under attack from a hidden enemy on February 23rd - or it may be that events tax your health and nervous system, leading you to need rest. You come into your own March 5-8, when you can make progress toward all your aims. Sun in Pisces sheds light on your income and self-worth. Avoid money talks on February 23rd, as investors or members of your group or community will prove hard to convince. March 5-8 may brings access to unhoped for resources. With Sun in Pisces, it's your time to shine! Mars and Venus having awakened your desires, you can now make progress with all your endeavours. February 23rd is a hard day at work, when a demanding boss or a professional commitment limits your movements. You receive help from powerful friends March 5-8.